Kanore was established by Rawat Ajja Singh Ji who was the first Thakur of Kanore. 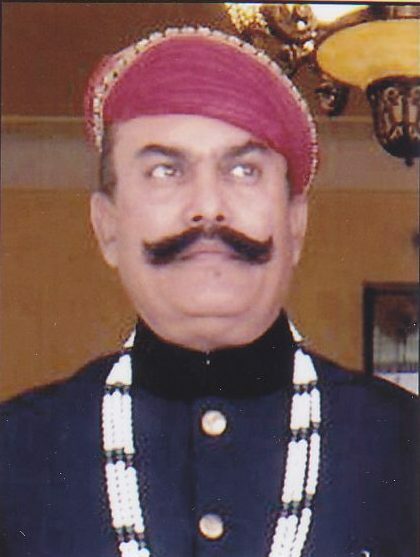 Rawat Ajja Singh Ji was the son of Maharana Lakha Singh Ji (1382 – 1421). There are many theories behind the name of town ‘Kanore’. The first one is that there was a lady monk known as ‘Kani Meeni’, who used to pray there to achieve salvation. During this phase of hers, she achieved divine powers. The town was named as ‘Kanore’ after this holy lady. The second theory is that the town had a large number of devotees of Krishna. 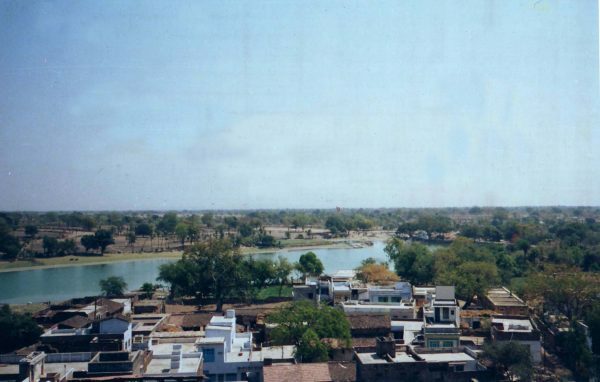 Thus, after the name of Krishna, the town was named as Kanore. What is Kanore famous for? 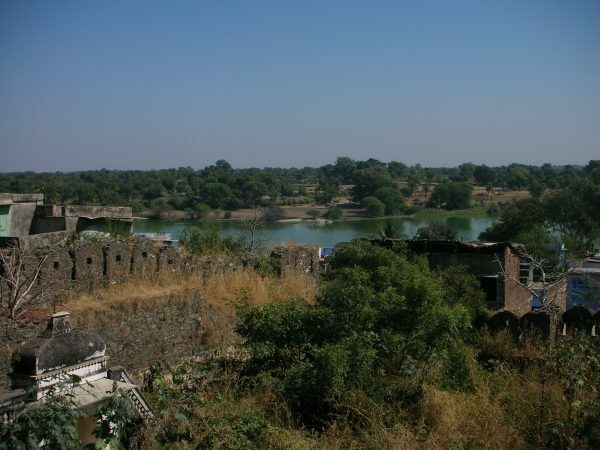 Kanore is located at a distance of about 75 km from Udaipur in the southern region of Rajasthan. Since it is at the border of tribal caste majority area, in the earlier times, it was a very less educated region. Then a saint known as Acharya Shri Jawaharcharya inspired Mewad Malviya Pt Udai Jain to build a university here and he did exactly so with the name ‘Jawahar Vidhyapeeth’ and this evolved the education in the entire South Rajasthan. Jawahar Vidyapeeth became the educational center for Southern Rajasthan. This entire episode gave rise to a new name of Kanore which is ‘Shiksha Nagari’. The above poem about Kanore boasts about the agriculture of betel leaves (Paan) in Kanore. It is said that no one was able to farm betel leaves even around 1 km near Kanore and it was only cultivated in Kanore in ancient times. The Paan of Kanore was so famous that people from America came all the way to the town just to taste the paan here. Yogeshwar Singh Ji says that Mohanlal Sukhadiya, Former Chief Minister of Rajasthan, used to come here regularly especially to have the paan of Kanore. Kanore is also famous for its knives and the lotus ponds which can be spotted at every 2 km there. 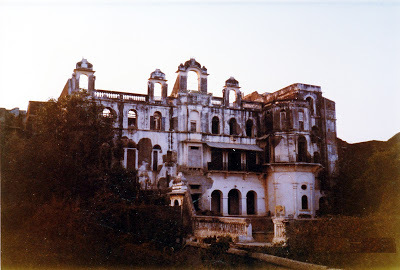 Kanore Palace, situated in the middle of Kanore, belongs to the royal family of the Kanore. 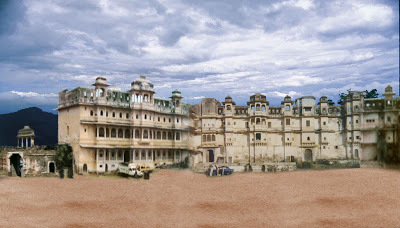 The construction of the Palace was begun by Maharawat Sarangdev II in 1711 AD. 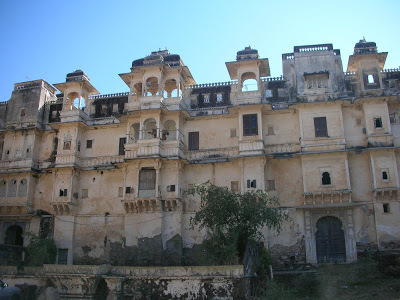 It is said that the artisans who made the City Palace of Udaipur were the same who made the Kanore palace of Kanore. 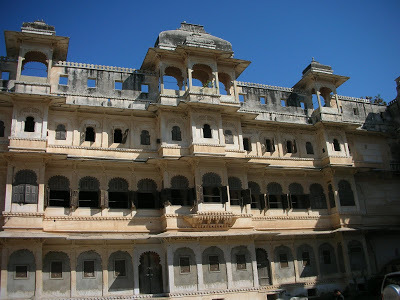 This is the reason why Kanore Palace is a replica of the City Palace. Although, the size of the City Palace is a bit larger. Just like the City Palace of Udaipur, parts of Kanore Palace were also made by different rulers during their respective reign. Sarang Villas which was built 700 years ago by the forefathers of the Kanore Royal family. A prominent picnic spot near Kanore which homes an idol of Lord Shiv amidst natural and peaceful environment. The main highlight of the temple is the festival of Mahashivratri when a large number of people are gathered here to worship Lord Shiva. Adeshwar Ji is an ancient Jain Temple, about 800 years old at a distance of 3 km from Kanore towards Dhariyawad. 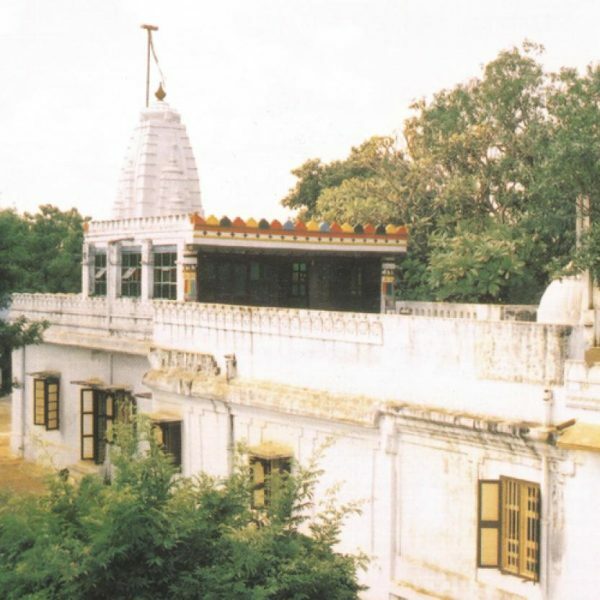 The temple is devoted to first Tirthankar of Jain Rishabh Dev Ji. It is situated in a village named Rajpura, which was known as Rajgad previously. Many religious processions take place in the temple such as Tirth Khetra like Akshay Tritiya Parna Mahotsav and a fair taking place once a year known as Janam kalyanak of Bhagwan Adinath. Keleshwar Mahadev is a set of temples built on the bank of Gomti River and a prominent picnic place which attracts a large number of tourists. 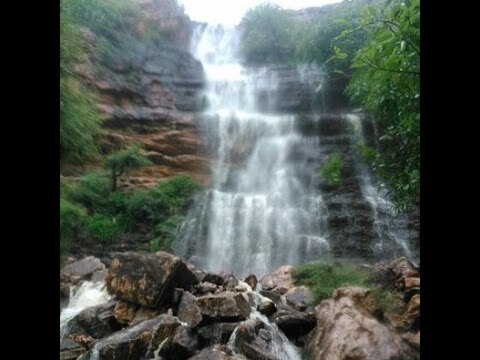 A pristine waterfall can be witnessed at the place which looks stunning during monsoon season. An ancient idol of Lord Shiva is worshipped at Keleshwar Mahadev. Kundia Dam is the major source of water for the people in Kanore. During monsoon, the dam becomes an exceptional sight to witness. As mentioned above, there are multiple lotus ponds near and in Kanore. These pond homes a variety of beautiful Lotus flowers which can be seen on the surface of the water. Do you have any feedback for the article or have any such interesting story to share with us? Then write to me at juhee@udaipurblog.com. Previous articleLord Ram’s mystical cave at Banswara! Next articleColorama 2018 at Forum Celebration Mall is all set to bring out the artist in your child- Register today!